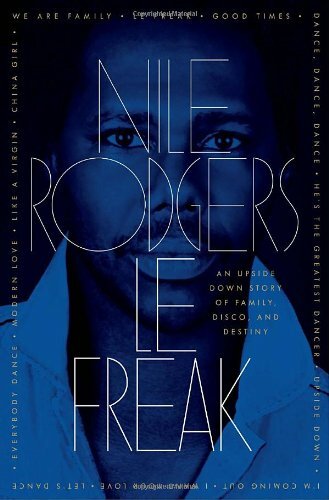 This entry was posted on Sunday, January 15, 2012 and is filed under and Destiny by Nile Rodgers,Book Review,Childhood,Disco,Drugs,Le Freak: An Upside Down Story of Family,Memoir,Music. You can follow any responses to this entry through the RSS 2.0. You can leave a response. I had never heard of Nile Rodgers, but I have certainly heard these songs. It's nice to hear about accessible, exceptional memoirs that read like fiction. Thanks for the recommendation Ethan! No problem! I was surprised at how much I actually enjoyed reading this. I've never heard of Nile Rodgers before now, but I've definetly heard those songs. I'll have to check this book out. Great review! I am both enthralled and devastated after having found your blog. Enthralled to have found a kindred spirit and financially devastated as I put each of the books about which you write on my "to-read" list. I'm glad you found this blog too! I look forward to reading your reviews. A very nice review! Not generally something I would read (I'm not a big memoir kind of guy), but you made the salient details very interesting. I too am one of those strange guys who likes to read. Like you, none of my friends are of the same mind either. And damn it, we need some more testosterone in this book blogging thing, so I'm going to be following you from now on. I look forward to seeing your other reads! I totally agree! Thanks for reading.